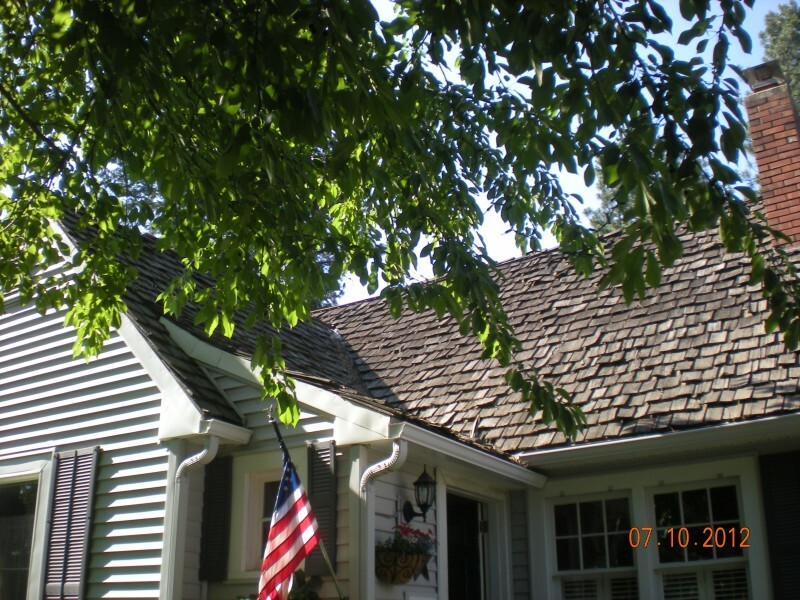 Cedar shake roofing can be beautiful but is does come with maintenance. 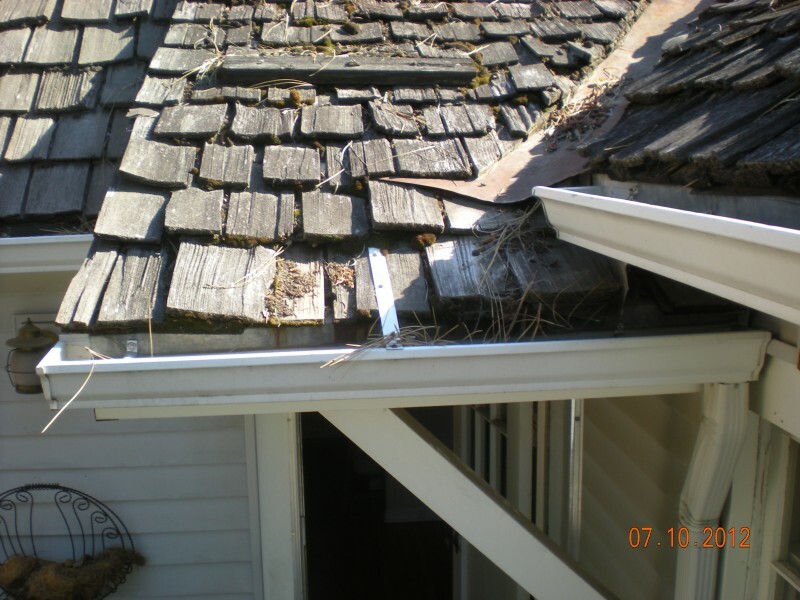 This home is in need of a new roof because upon a closer look at this shake roofing, it is moss covered and soggy. The integrity of the wood is gone! I still felt compelled to write a little about them because they are a roofing product and we are a major roofing installation company. So here ya go. Wood cedar shakes are made primarily from the Western red cedar tree. They are usually “split” or “sawn.” Split type shakes have thicker and more random shapes. They were very popular in the 60’s and earlier. Timber was more plentiful and the trees were larger (especially coastal climate forest trees) so the saw mills would “forge out” thicker shakes, (thicker “butted”) which gave the overall aesthetic appearance of a more rustic look and classy look. The number two is typically what you are gong to get these days even if you order number one shakes! The “thick” number one’s are a special order and you will pay a premium for them! Here in Eastern Washington we will always have a concern for fire danger because fortunately for Spokane and vicinity, we still enjoy (and have) beautiful forests just a short drive away from our main city and our city and county ordinances wish to preserve them. Standard wood shakes have a class “C” fire rating which refers to this wood being “unrated.” These wood shakes will ignite (or catch fire) if dry, and burn very fast. Here is a little information for you about fire ratings. Many insurance companies will not accept a class “C” fire ratings for roofing installed on your home so be careful about home-coverage and check with your insurance company if you are considering installing Cedar shake roofing. There are some fire retardant chemicals that can be sprayed onto or “impregnated” into the wood shakes from the factory and I will add, that this is very expensive to have done. 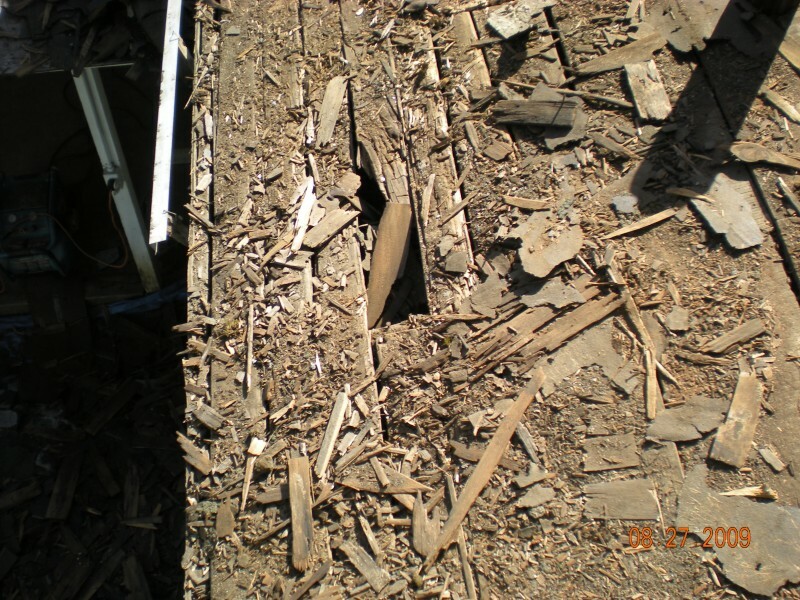 Having this treatment done may get the cedar shake roofing to a class “B” rating (which is better of course) BUT, this fire retardant-solution will also decompose, dilute or lose it’s effectiveness over time as the wood shakes bake in the sun or become saturated with rain for long periods of time. Another word of caution, your insurance company still might not accept any fire rating under a class A. 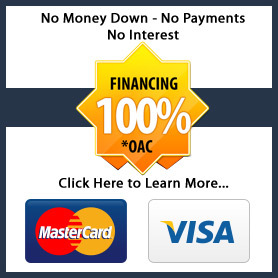 You can, believe-it-or-not, get a class “A” fire rating with wood shakes by having them treated “from the factory” THEN having a special special fire-resistant material installed over the wood plywood or osb board solid-wood deck. Next a heavy felt underlayment, and finally, the wood shakes would be installed with a heavy felt shake-liner laced between each shake course. So to get a class “A” fire rating for a wood shake roof would require a secondary component. Very costly application but it can be achieved! There are 3 wood grain exposures to choose from for a shake appearance. The type of grain determines the durability of the shake. Edge Grain wood shakes appear to have a straight grain on the long length and are the superior of the three. Flat Grain wood shakes have the appearance of plywood because you can see the growth rings (when new). They do have a weak spot because of the exposure of the growth rings however. Slash Grain wood shakes are obvious because of the wavy grain and are the weakest of the three types. Installation of wood shake roofing material has become a very rare request because of the expensive cost for timber these days, the lower typical fire rating and the longevity is just not there with standard shake thickness’s. We will gladly quote you on a cost to install Cedar Shake Roofing on your home if a wood shake roof is what you desire. I still think they are beautiful AND natural for sure! 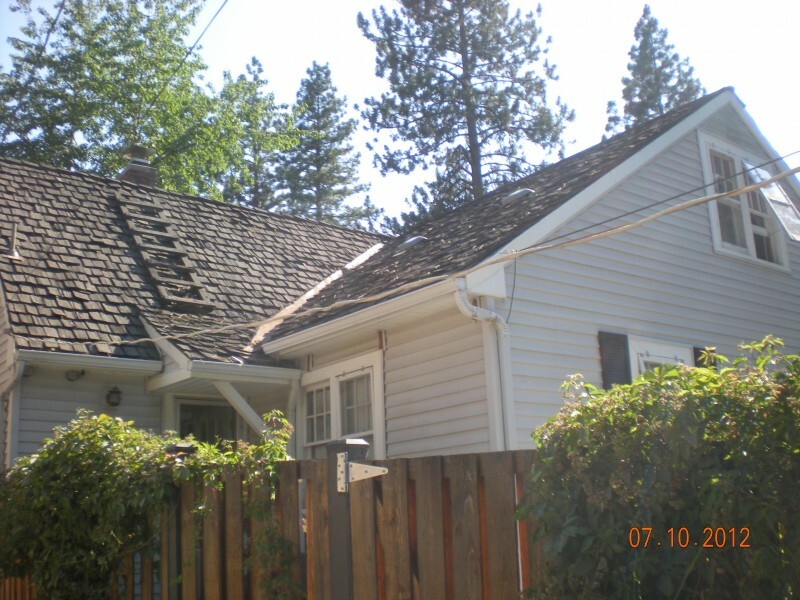 So please call one of our roofing specialists at 509-535-1566 or go to our contact us page. CEDAR SHAKE ROOFING CLEANED; Lastly, just to touch on having your wood shakes cleaned. Yes, you can get your existing cedar shake roof cleaned, sealed and sprayed to potentially extend the life of the shakes. This is really a gamble as to adding life to your roof. There are many factors involved with regards to whether it makes sense or not! 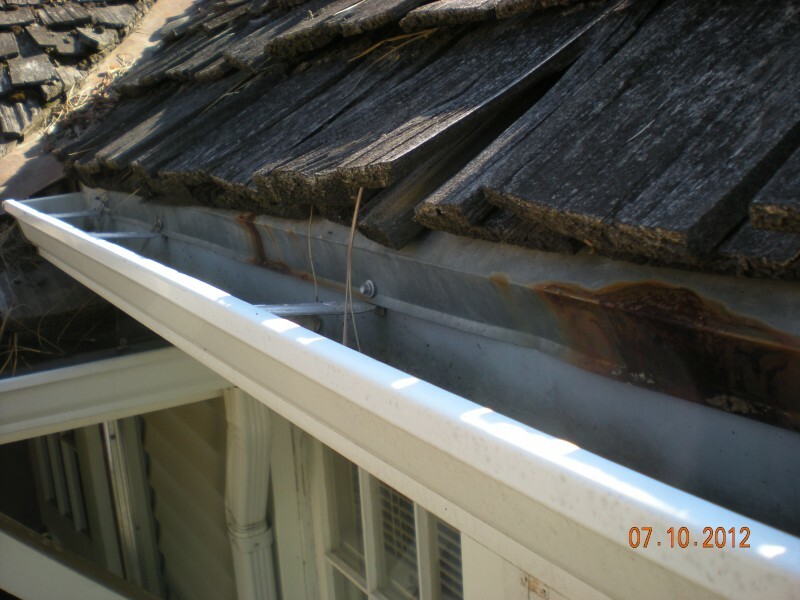 Certainly you or whoever gets up on your roof to do this “service” can (and probably will) cause damage to your roof having this preformed. 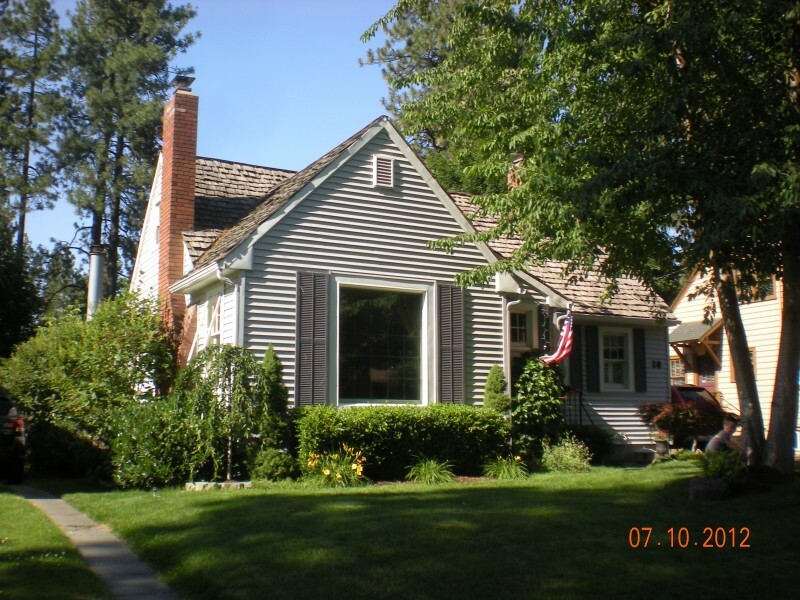 Many people like this idea to clean and “seal” their existing cedar shake roofing. Typically we see this with home-owners that are selling their homes that don’t wish to incur the price of having the wood shakes removed. 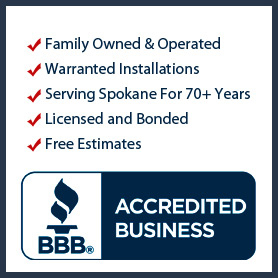 Please call us 509-535-1566 or use our contact form to be contacted by one of our professionals.